My children love to snack and I find that the biggest snack times occur after their afternoon nap time. Why they need a snack at this time I don't know but when I break out the snacks, they are pretty happy campers. I try to find healthier foods for them to snack on but around here, that is not always easy. So typically, I try to find healthy snack bars that will fill them up with good stuff, rather than junk that will leave them feeling empty. So, recently I was invited to try out some soy protein snacks and I actually found out about some companies that I had never heard of before. One of them - MorningStar Farms, I had heard of before and their Veggie Burgers are to die for!! I haven't had a veggie burger in a very long time and seeing this company's name made me hungry for them once again. Those are some things that I didn't know but am glad to have discovered now. I don't know of any food related allergies in our home but knowing that soy protein is a good alternative is helpful (especially if I am having someone over for dinner and they have allergies to certain foods). 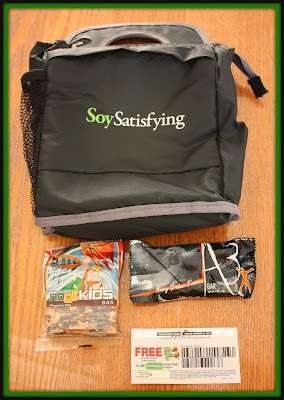 So, for this review I was sent a nice package of goodies that would introduce me to soy protein products...snacks and meal options! 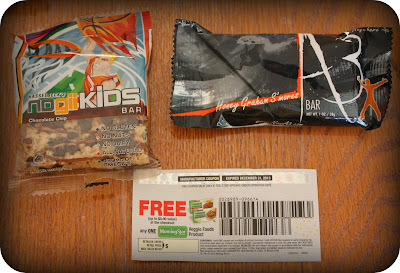 I was sent: One coupon for a MorningStar Farms product, one A3 Honey Graham S'mores bar, one Nogii Kids Chocolate Chip bar and one “Soy Satisfying” Lunch Cooler. I was really excited to try these products out and was even more excited about the coupon for a free Morning Star Farms products. I was NOT prepared for the variety that met me when I approached the freezer case. It was a difficult decision but I finally picked the Sausage, Egg & Cheese Biscuits. I love quick breakfast ideas and these biscuits looked so good. 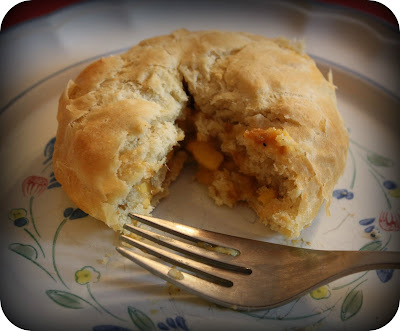 These biscuits are about 3 inches in diameter and contain veggie based sausage pieces, cheese and eggs. They looked very hearty and yummy when I pulled them out of the package. All you do is microwave them (or you can put them in the oven) for about 45 seconds and they are ready to eat! I have to admit that these biscuits were very filling. Typically, something this small does not fill me up but these were wonderfully filling. I especially enjoyed the sausage as it had a very rich flavor...couldn't even tell it was vegetable based! 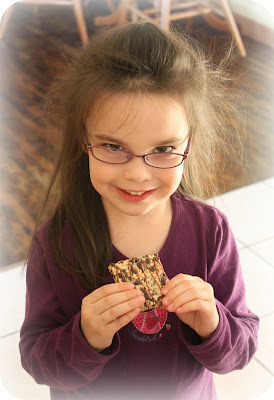 My children love snack bars and I was really excited to try out the two bars that I was sent an A3 Honey Graham S'mores bar and a Nogii Kids Chocolate Chip bar. 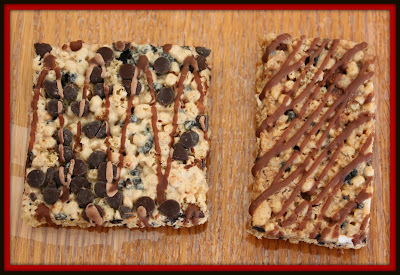 Both of these bars are gluten-free and all natural, which makes them very desirable and healthy snacks for any child. I have to admit...both of them did NOT make it to my children to taste. I ate one and it was VERY good and again, very filling. When my daughter woke up from her nap she heard me unwrapping something and came into the kitchen to investigate. Well, when she saw these bars she wanted one and so I gave her the A3 Honey Graham S'mores bar to try. She loved it and didn't ask for any additional snacks (which she typically does). So, if you are looking for good, wholesome soy protein foods for you or your family, be sure to check out these companies. They have such a great variety of products to suit anyone...check them out today! Disclaimer: I received no monetary compensation for this post. I did receive free products for review purposes. All quotes and stock photos are from the sponsor's website and email. Prize pack is being provided and shipped by DuPont Nutrition and Health This blog is not responsible for lost, stolen or damaged prizes. All thoughts and opinions are 100% mine. I'd love to try the Chik'n Nuggets! 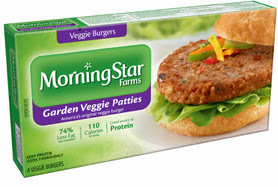 I would love to try the MorningStar Farms® Grillers® Chik'n Veggie Patties. I like the buffalo wings. I'd love to try the Asian Veggie Patties. Grilled Rustic Roll Ups sound good! I would love to try their California Turk'y Burger. I'd love to try the buffalo wings. I like their sausage links. It is great with sriracha!